The Hôtel de Ville in Paris, the French capital’s City Hall, has dedicated its first large-scale design exhibition to the grande dame of design, Andrée Putman. 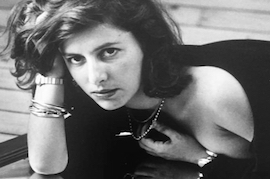 Curated by her daughter, Olivia Putman, it traces her career and projects. Tick off hotels such as Morgans in New York and The Putman in Hong Kong, the CAPC contemporary art museum in Bordeaux, stores for Yves Saint Laurent, Karl Lagerfeld and Guerlain, the Concorde’s interior, furniture for France’s former culture ministers Michel Guy and Jack Lang, a Pleyel piano, and vases and jewellery for Christofle. Modem spoke to Olivia Putman following the opening of the exhibition. Is this the first time that you’re curating an exhibition on your mother’s work and how did it come about? O.P. : I’ve done several shows on her work already, in New York and other places. The Hôtel de Ville wanted to pay tribute to design and its impact, and to a Parisian, and to make a change from their usual photography exhibitions. 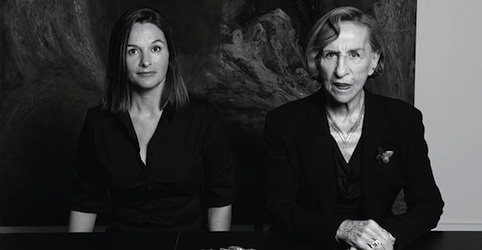 In the video included in the exhibition, Andrée Putman talks about how her mother was extremely demanding of her and her sister. What was she like as a mother? O.P. : She was very special – demanding but generous, kind and good. She told me lots of stories, like fairytales of different things that made me dream. Very quickly, I realised that her faults became her qualities. From a young age, I felt free and independent, which I didn’t understand initially because when you are little you want somebody to take care of you all the time. I have very interesting childhood memories: my father knew the Irish writer Samuel Beckett and the Dutch artist Bram Van Velde lived with us for a while. My parents had many friends who were designers and artists, and the former culture minister Michel Guy also helped my mother discover a ton of people. Were many of your friends artists when you were growing up? O.P. : My best friend was Robert Malaval’s daughter, but the friendship wasn’t through a family link. My mother and I exchanged friends. I introduced her to the shoe designer Christian Louboutin, who I met when I was 13 at Le Palace nightclub, and to Jean-Michel Basquiat, who I met towards the end of his life at his exhibition at Galerie Yvon Lambert in Paris. My biggest regret is that I forgot a drawing that he’d given me at his apartment. I just said ‘See you tomorrow’ and then I never saw him again. It’s a small regret – emotionally and economically, but I’m joking! What was it like for your mother to be working in such a male-dominated field? O.P. : It wasn’t a problem for my mother to be a woman. She never said that it was difficult; she never complained. She often transformed difficulties into qualities. She played on her seduction and had a very particular way of walking. She used that to take advantage of a situation, rather than seeing herself at a disadvantage. Your mother is famous for her black-and-white checkerboard aesthetic. How did that develop? O.P. : She was a bit traumatised by her piano! When she won the first prize at the Conservatoire de Paris at the age of 19, she was told ‘Now, you have to shut yourself away for several years in a room and perhaps – perhaps, but it’s not sure – you will do something good.’ She became very depressed at the thought of not seeing life and so she stopped playing. She came from a family of musicians, where dedication to music was ‘yes or no, all or nothing’, and couldn’t imagine playing the piano just a little bit. It was a feeling dictated by her mother, who wanted a lot for her but in a difficult way. This became the secret of her success and courage. You now run your mother’s agency. What’s your own background in the field of design? O.P. : I’ve been directing the agency for four years. I started working for my mother 10 years ago but I trained as a landscape gardener and also transformed places into art spaces. Once I recuperated a factory for mother-of-pearl buttons and transformed it into an artist’s atelier. When my mother was working on the CAPC at Bordeaux, I was also involved in these transformations and we had a lot of discussions. O.P. : Some very interesting design objects and new hotel projects that enable us to reflect on sociology and the way we want to live today. Does your mother still keep informed of the agency’s projects? O.P. : I tell her everything we’re doing. But she no longer has any desire to take care of it. Now that she has discovered the happiness of having time for herself, she doesn’t want to work any more. Andrée Putman: Ambassador of Style is at the Hôtel de Ville in Paris until 26 February 2011. The catalogue is published by Flammarion.